At Lonseluet, we believe art is within the detail, which Lonseluet always effortlessly aims to achieve within all its British made collections and garments. The Lily Collection focuses on effortless elegant statement through simplicity. With a palette of white at the foundation to emphasis purity, with hints of black to echo life and beauty. 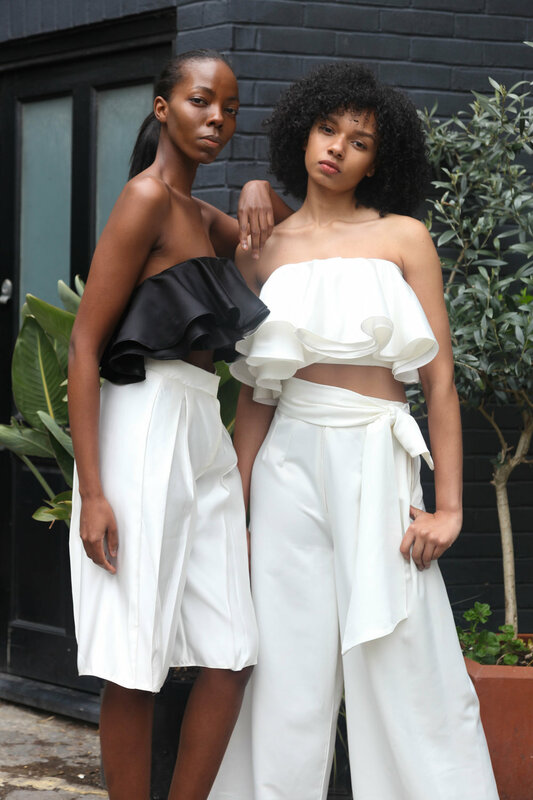 The soft layers of ruffles designed as cropped tops bring a third dimension to complete the collection. The collection is based on expression and essence of a woman. It was designed around the concept of freedom, purity, confidence, grace, and beauty. As relating to a flower, Lily, we focused on fluidity, soft textures, and chic elegance.